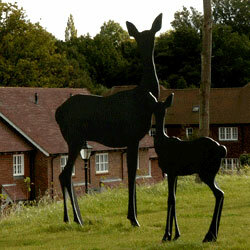 The aim of this commission was to create four unique, permanent landmarks within the new village of Bolnore in Sussex. 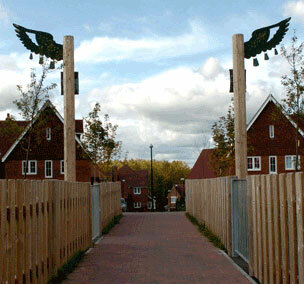 The concept was to give the village its own unique identity which represented the community and responded to the surrounding landscape accordingly. 'Britain is now growing as much food in gardens and allotments as it did in the 1940s when lawns were dug up'. 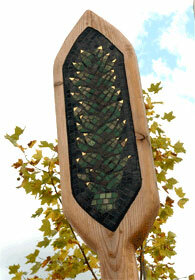 The 'Wheat'sculpture is made from Larch wood, glass, cinca and ceramic mosaic tiles. 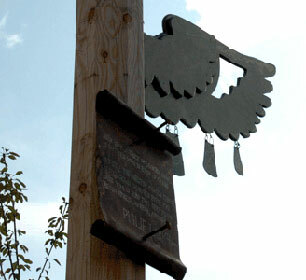 It measures 4.2 metres and is located in the village square. "They have imagined a place where men plough and sow and reap, not a place where there are great wheels turning and vomiting smoke...we wish to preserve an ancient ideal of life. 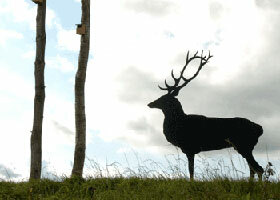 Wherever its customs prevail, there you will find the folk song, the folk tale, the proverb, and the charming manners that come from ancient culture...we must so live that we will make that old noble kind of life powerful amongst our people"
Red deer are Britain's largest remaining mammal. 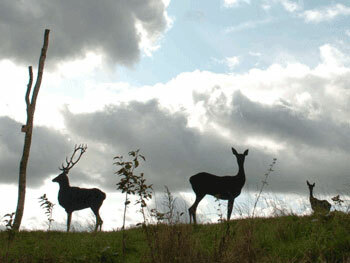 These are 3 deer made from steel, they are life size. 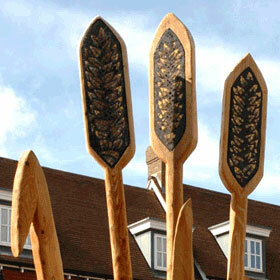 The Oak for these uprights are from Bolnore's own woods. 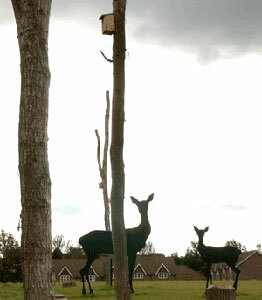 These bird boxes are on Bolnore Green. "The commitment to environmental protection through the planting of trees and taking care of existing ones, is rapidly increasing all over the world. At a global level trees and forests are closely linked with weather patterns and also the maintenance of a crucial balance in nature. Hence the task of environmental protection is universal responsibility of us all." Wings, The Knoll, Hayward's Heath, Sussex. 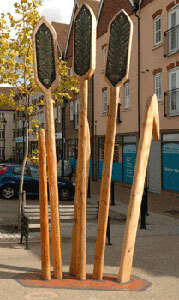 This piece is made from sustainably cut Douglas Fir, marine plywood, reclaimed aluminium, copper, steel and gold leaf. It is 5 meters in height. Yet still the unresting castles thresh In full grown thickness every May. This furniture is made from sustainably cut Douglas fir and Oak wood and other timbers from a local, well managed woodland. 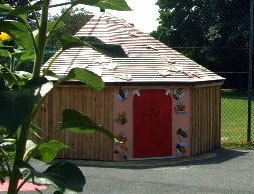 This project was a Creative Partnerships Commission based at Cuckmere House School in Seaford. 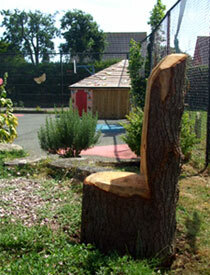 The residency took place over 18 months resulting in the transformation of the school grounds. 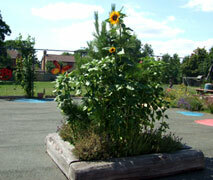 The aim was to create and develop interactions with the space for the staff and pupils. 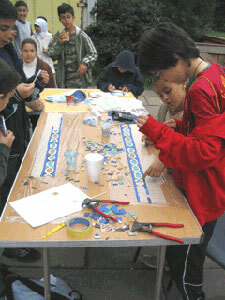 The outcome was an increased use of the outside space, for both lessons and breaks. 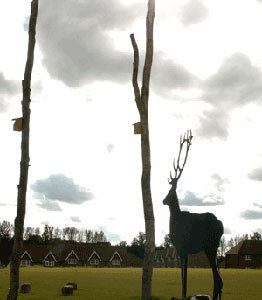 It also helped develop a new, creative public image for the school. 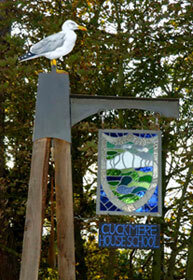 All of the work was designed with the children and staff of Cuckmere House School. 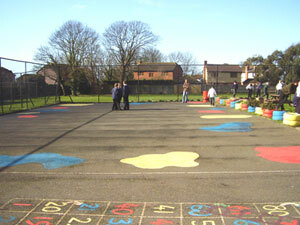 The school grounds before work commenced. 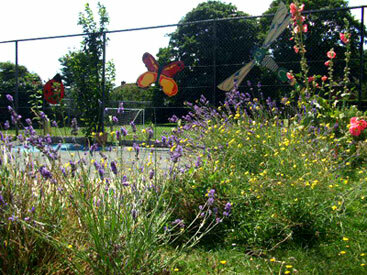 We planted a beautiful herb and food garden which we decorated with insect sculpturess made from reclaimed aluminium, painted in enamels and placed on the fence line. We built an oak tree bed and planted a Corsican pine in it. 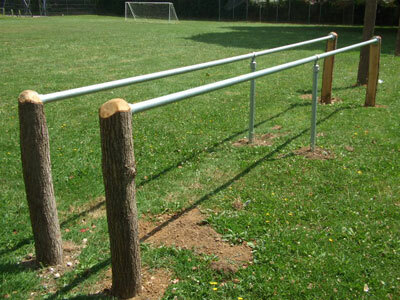 This was placed central to the playground. 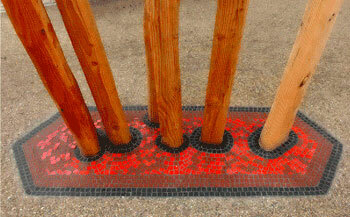 This calmed the play area and provided some seating. We built a play shelter in the form of a bee hive which we decorated with bees individually painted by every child to represent the individual and the community. 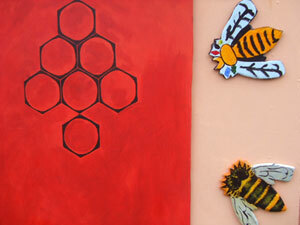 These are some of the bees from the play shelter. 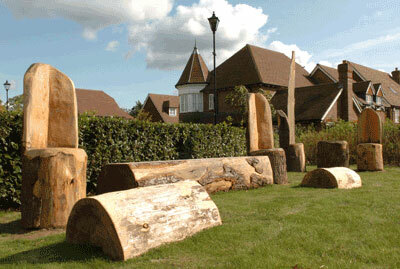 This is part of a fitness trail made from sustainable oak and steel used by the children during lessons and play time. 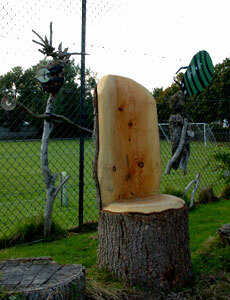 This is a wooden story telling throne made from Douglas fir wood and is part of a log circle used for circle and story time. We designed and made sculptural swing sign for the front of the school, using stained glass, aluminium, steel and sustainably cut Douglas fir wood. It is 5m in height. 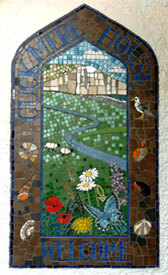 This is a mosaic sign for the school entrance made from ceramic, glass, marble and reclaimed tiles. 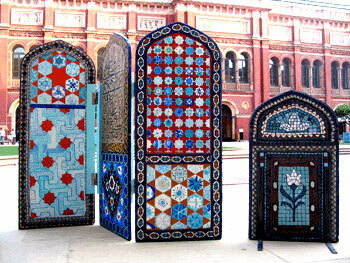 Touchwood was commissioned to create garden sculptures for the Victoria and Albert Museum to help celebrate the opening of the new Jameel Gallery of Islamic Art. 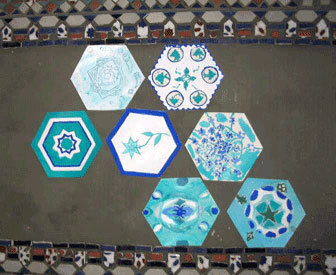 The piece was made of painted 'tiles' and ceramic and zellij tiles. 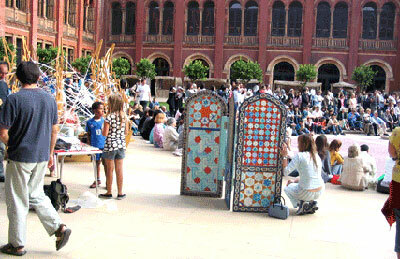 The Arabic Weekend at the Victoria and Albert Museum.